Acton is a community whose legacy is rooted deep into the fabric of Canada’s historical and cultural narrative as both an area of early colonization as well as the home to what became the largest manufacturer and distributor of leather goods in the entire British Empire! The area was once home to the Huron, Iroquois and Mississauga natives who traded furs and goods with early European missionaries and explorers in Ontario. Leather was an extremely important commodity as it was used for virtually everything from fashion, tools, and early locomotives. Acton was settled in as early as 1819 and the first tannery opened around 1842, sewing the seed of what was to become Canada’s original Leathertown. 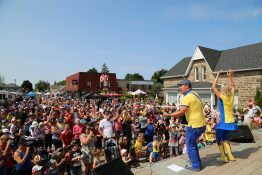 The festival first began as ‘Back To Acton Days’ in 1977, three years after the amalgamation of Halton Hills, and was renamed in 1992 to the ‘Leathertown Festival’. 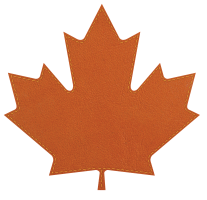 Today, Leathertown Festival exists as a Celebration of Canadian Craftsmanship and a testament to Acton’s cultural heritage. 2019 marks the forty-second year of this unique event held in the picturesque Halton Hills. Leathertown Festival has seen many changes over the years since its inception in 1977 when it was known as the ‘Back To Acton Days.’ Over the past several years the festival has grown apart from its original mission which was to be a showcase of Acton’s heritage and to help develop a sense of pride in the community and in festival-goers. We have been working hard behind the scenes to help set this festival up for bigger successes moving forward, and we look forward to your help in making that possible! 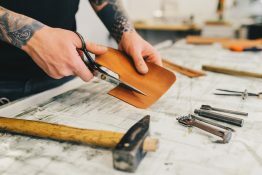 2019 will mark a milestone year for Leathertown, which will position to become a Celebration of Canadian Craftsmanship and bring with it a new value proposition for attendees and investors like yourself. Leathertown Festival was the very first project that the Downtown Acton Business Improvement Area (DABIA) spearheaded? It was used to boost commerce in the downtown core, as well as to develop community identity and pride for the local people. Vendors pooled 2% of their profits in the early years to help save the Town Hall, located at 19 Willow Street North. * 2019 Early Bird Window Closes March 31st, 2019.